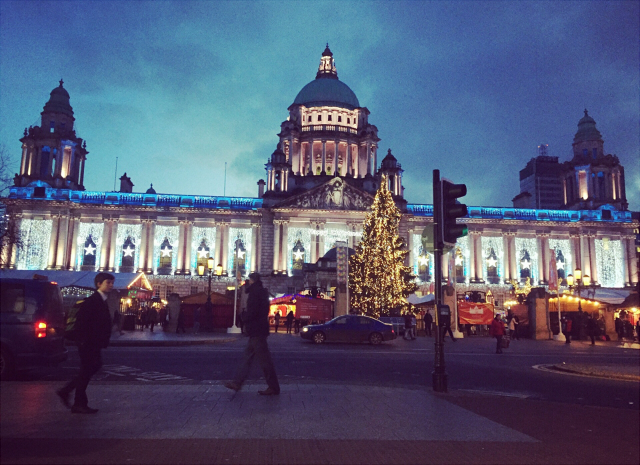 On Monday (15/12/14) Eva and I had planned to go into Belfast to do a little Christmas shopping. 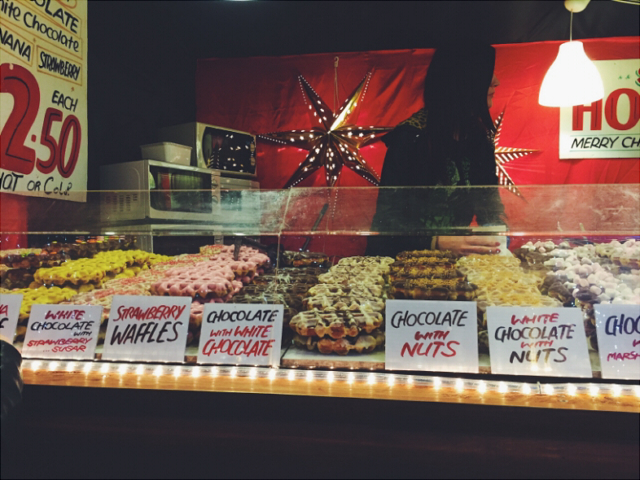 The last few years we made a new tradition to go to the Continental Christmas Market that comes to Belfast every year. We usually go with our older sister Jann when she's home, but she's not coming home to the 27th this year and it's gone by then. Usually it's just us sisters that go, but this year my mum decided to come with us and then my dad ended up having a day off so we all went together. We don't really do much as a whole family, so it was really nice. We went to the market and to Alley Cat for dinner. Eva and I really wanted to go back after going with our friend Hannah, and we were glad my parents actually liked it. I got the same food as last time, and we also got a tea pot cocktail again. Which led Eva and I being a little tipsy. Shopping is always more fun when you're tipsy, I think. 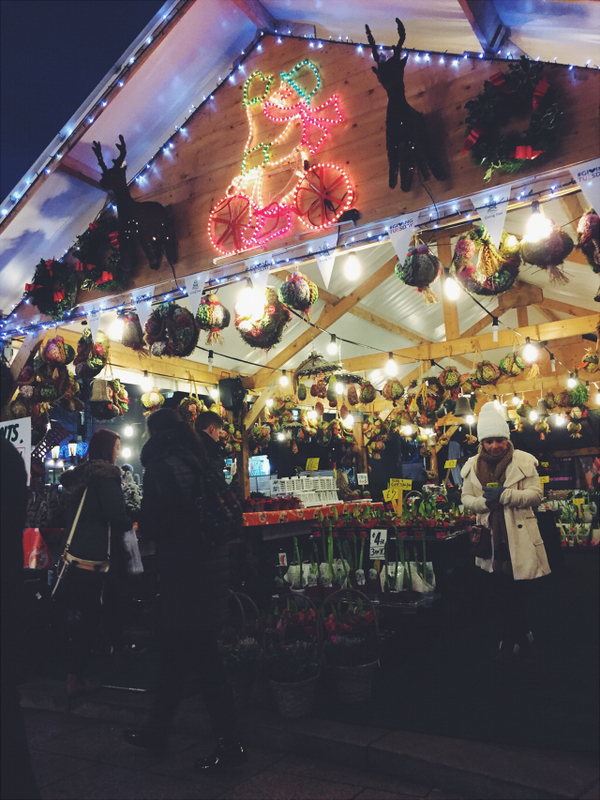 Here's some photos of the Continental Christmas Market. Looking back, I wish I'd have gotten more photos of my parents and such. My mum took some on her phone, but I haven't got them to post. So while I have no photographic evidence of what a lovely family experience it was, I'm sure you'll take my word for it. We didn't end up doing much Christmas shopping, but I did pick up a couple of things from the market for myself. 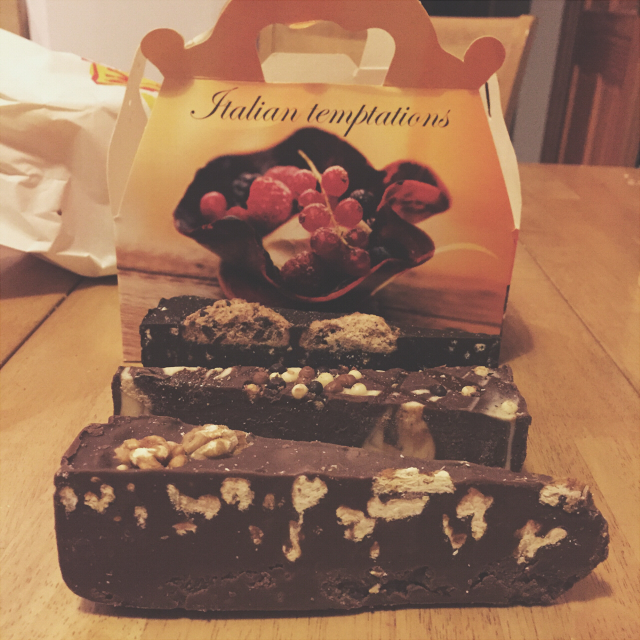 Every year we get this Italian handmade chocolate. They are so good, even if a little expensive. The one in the front is mine and it's walnut. Yum. 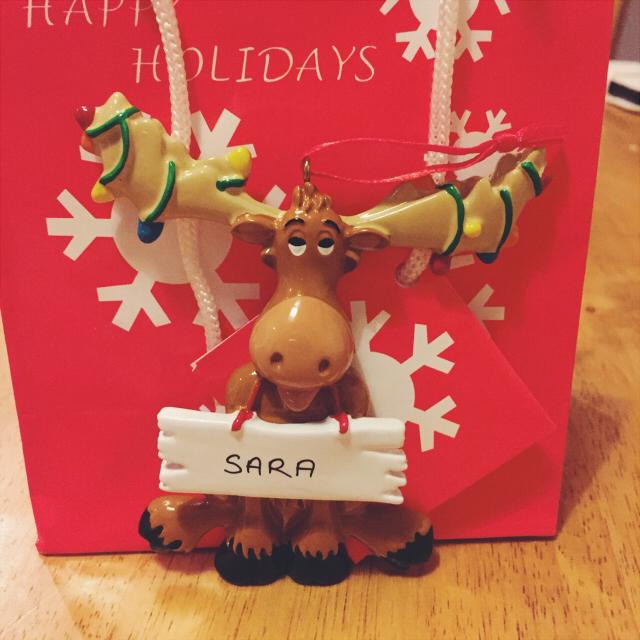 I decided I want to buy a new special Christmas tree decoration each year, and I loved this little custom festive moose. So this year, he was it. 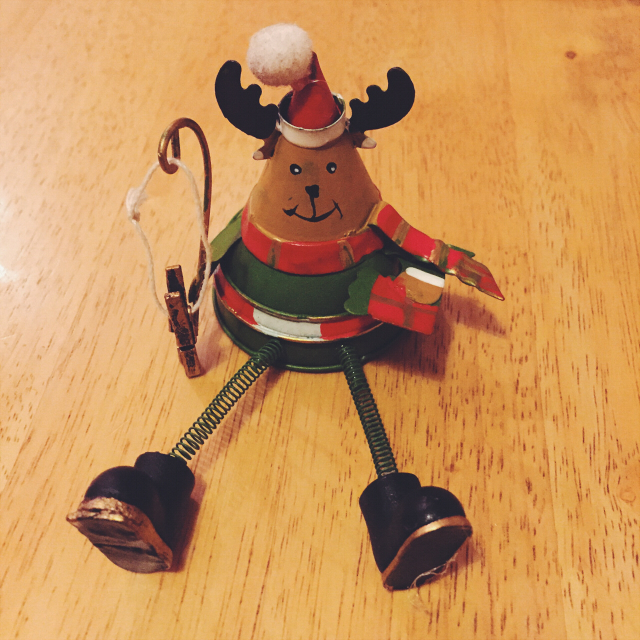 I didn't actually end up putting him on my tree, as I was worried if he fell off his antlers might break. So he's on my new pin board. 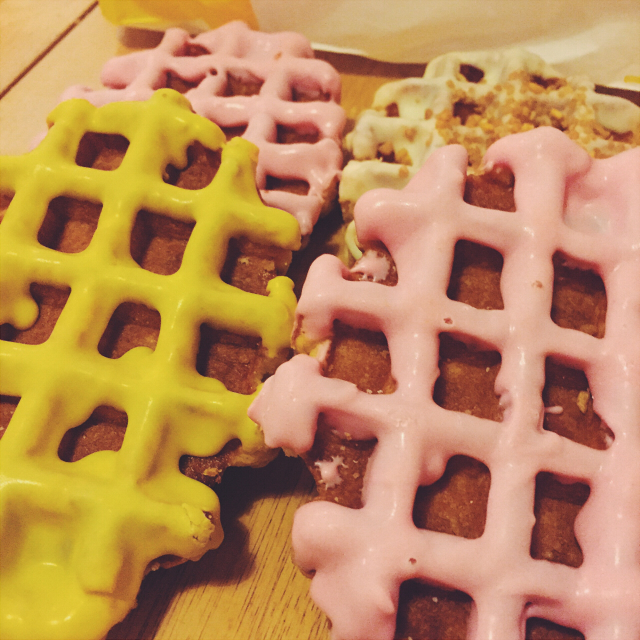 Lastly from the market, I got these lovely Dutch waffles. Again, Eva and I get them every year. They are so good. 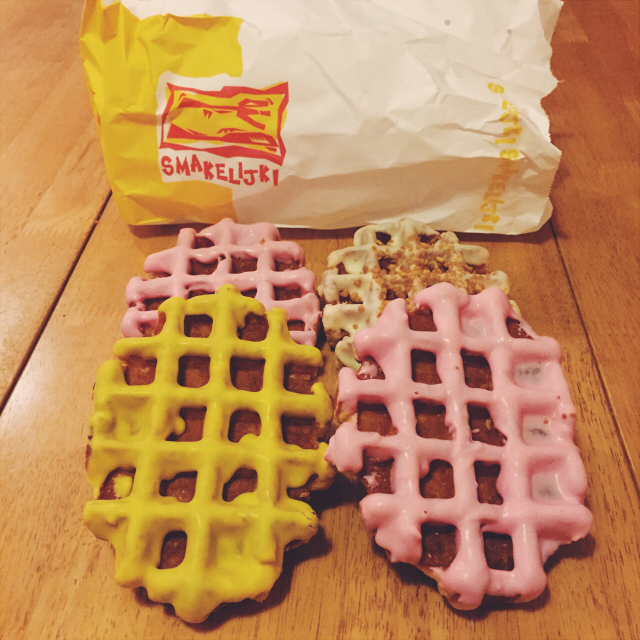 I got the strawberry one I always get, and a white chocolate with nuts on top. Eva got a strawberry and a banana. We were in a shop for ages because my mum decided to buy some paint to paint some furniture. It was after Alley Cat and I was a little tipsy, and my mum could literally talk for Ireland, North and South. So we were in there quite a while. Although I had told myself to only spend £20, I ended up picking up this little guy. He is super cute though, right? 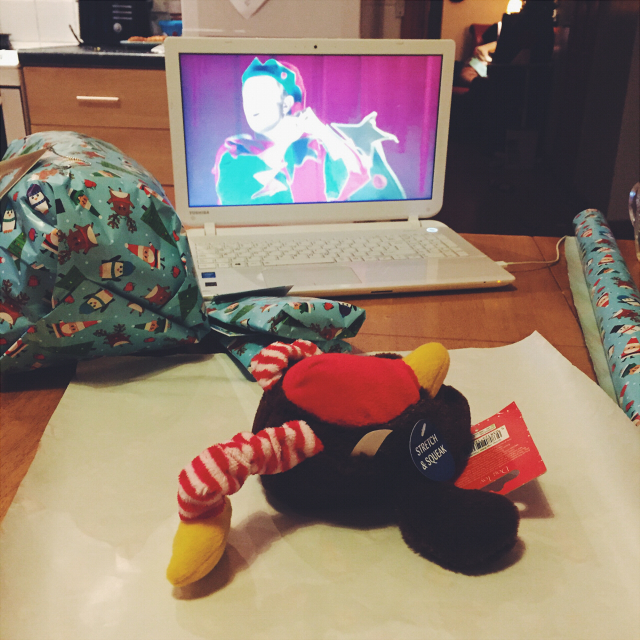 When Eva and I got home, I FINALLY started my Christmas wrapping (naturally starting with my furry baby's presents) while we watched Nativity! The next couple of days were full of wrapping and work for my last day of class. Finally Thursday and my day of class rolled around and I went in to do my presentation about Blackfish and my stance on keeping Orcas in captivity. 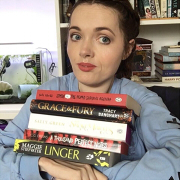 It didn't exactly go to plan, and I ended up blogging about it separately the day after. If you want to read how it went, here is a link to the post. 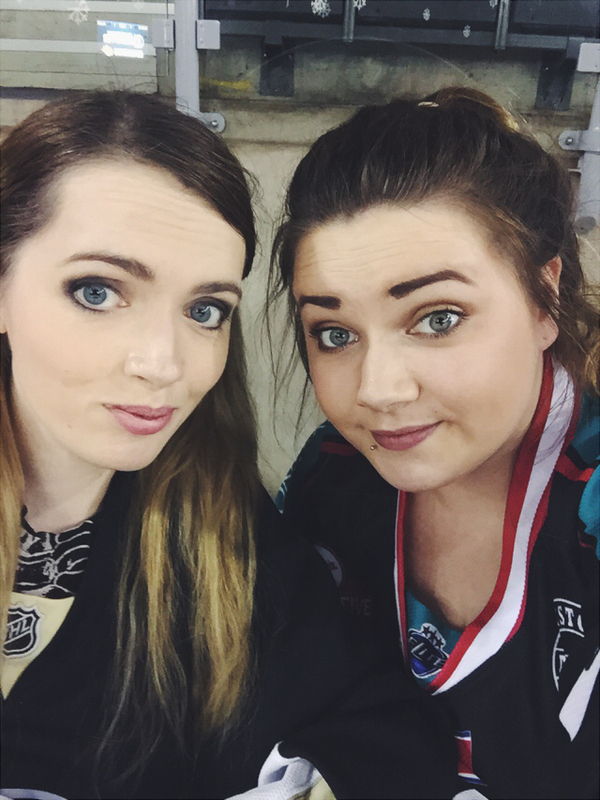 Friday and Saturday were ice hockey nights! It was all very Christmasy, which was nice. 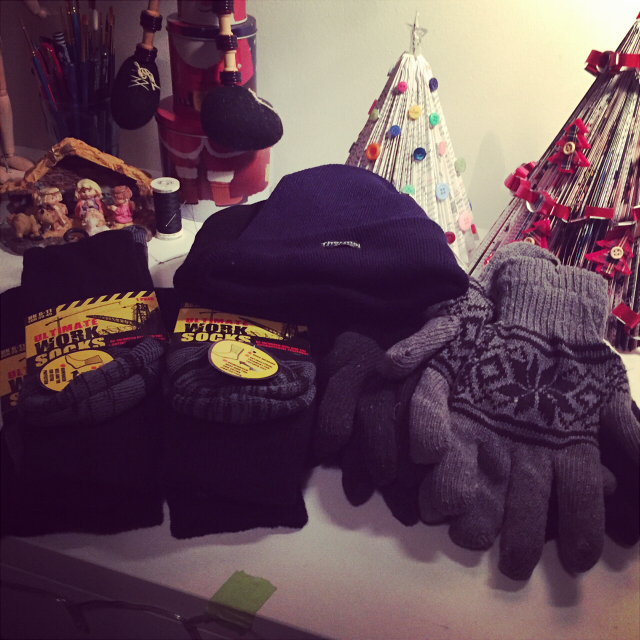 On Friday night they were doing a collection for the homeless in Belfast and I bought some socks, gloves and hats to donate. Sadly we couldn't find where they were collecting them, but luckily my mum's friend was also taking stuff to give out to the homeless, so I sent it round to her instead. Over all, the weekend was a success. 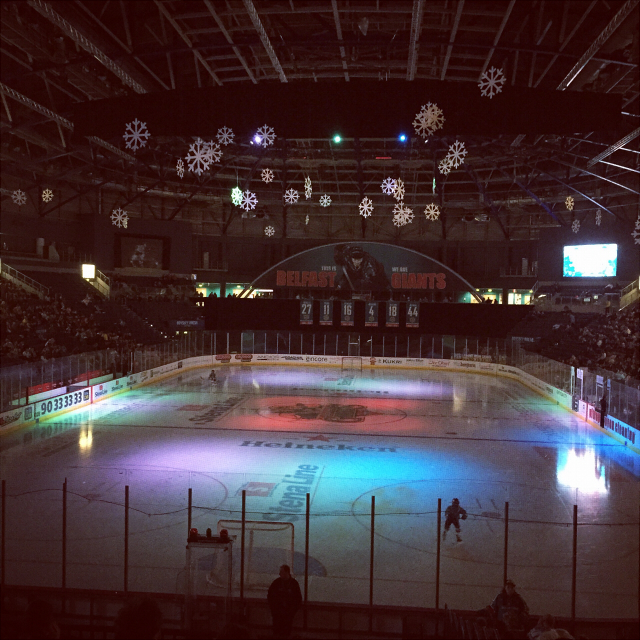 We needed the wins after falling to 5th place in the league, and we ended up winning BOTH home games against the Coventry Blaze. It was pretty amazing, and we even went on to win a third game that was played away in Edinburgh on Sunday. Three games, three wins and 6 points that took us up to 3rd place over one weekend. 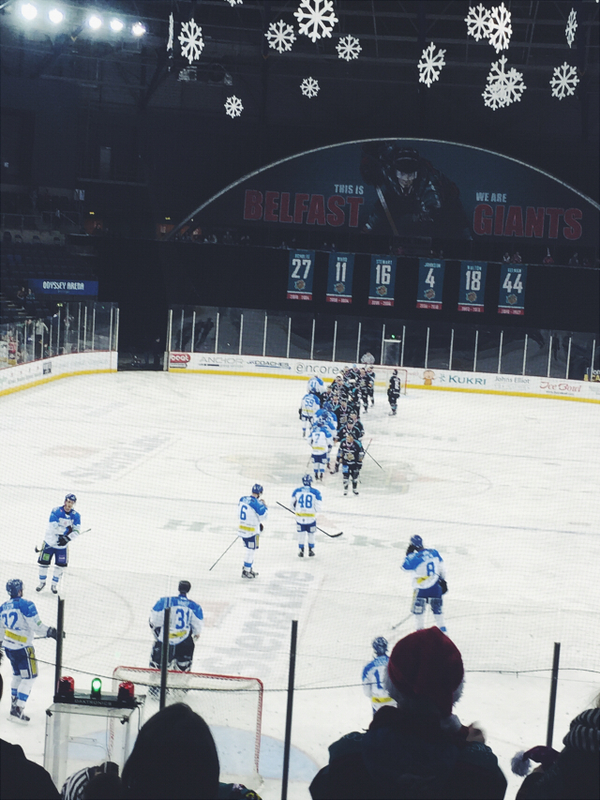 It was definitely a nice Christmas present from the Belfast Giants. 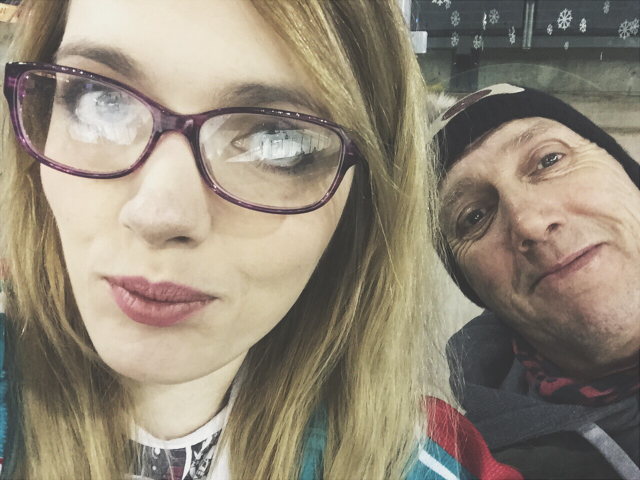 The next game we're going to is on the 27th, when my older sister Jann is home from London. We're taking my granda and my aunt Karen is going too, as well as my mum and dad. It'll be an awesome family outing. I can't wait. Here are a couple of selfies I took on Friday and Saturday with dad and Eva. That brings us to this week. I had quite a start to this week, but I'm not writing about that yet. Other than the thing I don't want to write about yet, we did some last minute Christmas shopping last night and Christmas food shopping (which took about 4 hours...). I CANNOT wait until Christmas dinner. 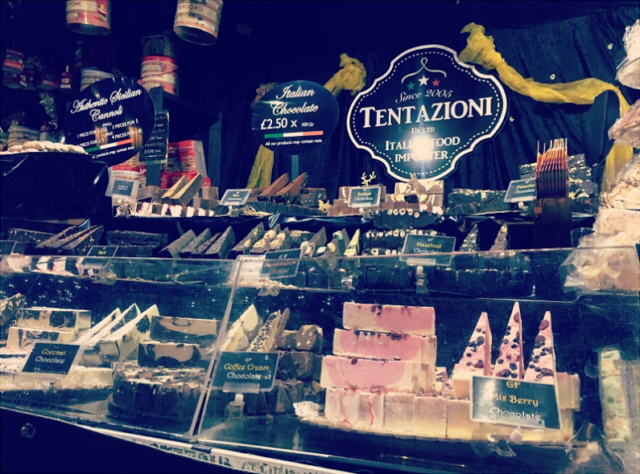 I can't believe when I write my next post, Christmas will be over... luckily I have plenty to look forward to after! 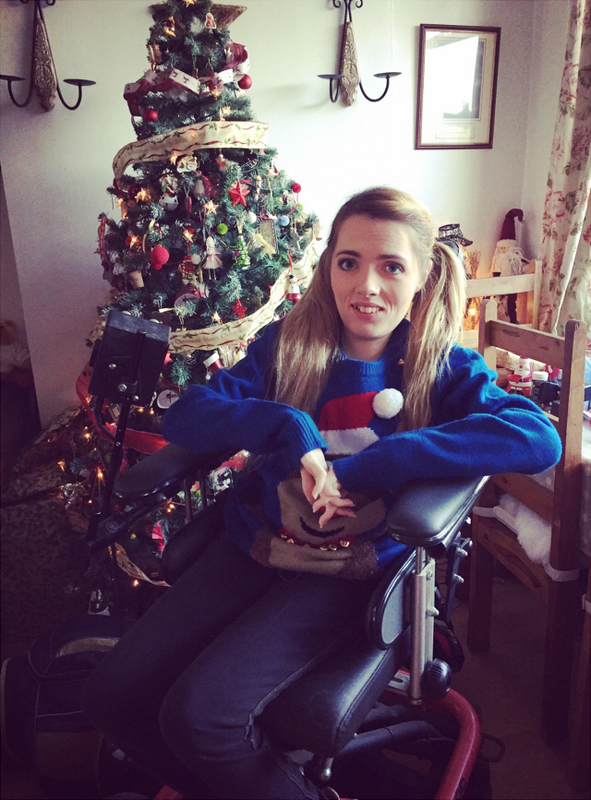 So yeah, that's what I got up to the week before Christmas week! Hence the title 'My Christmas Week Eve Week'. Get it? Does that even work...? Anyway! I hope everyone has a Merry Christmas for those of you that celebrate it and for those of you that don't, have a merry regular week! 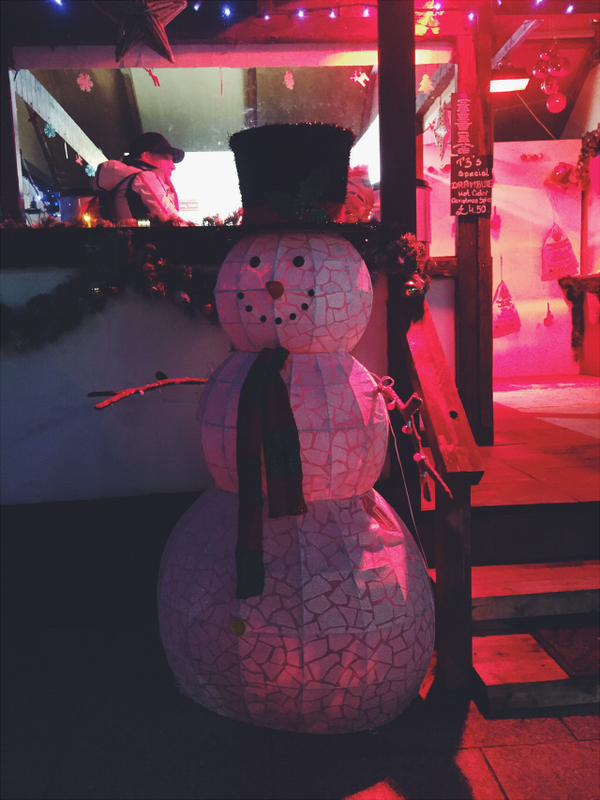 Check out my other Christmas related posts here!